BI360 offers modern, dynamic reporting with out-of-the-box integrations to many of the world's most popular on-premise and cloud-based ERP systems. 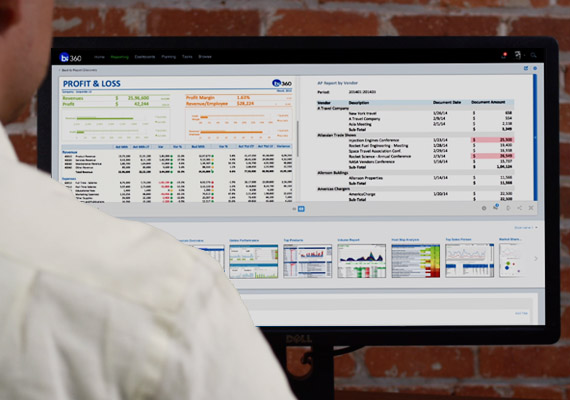 This easy-to-use report writer offers Excel, web and mobile interfaces and provides finance professionals with powerful financial and operational reporting capabilities in a variety of layouts and presentation formats, available for cloud and on-premise deployment. 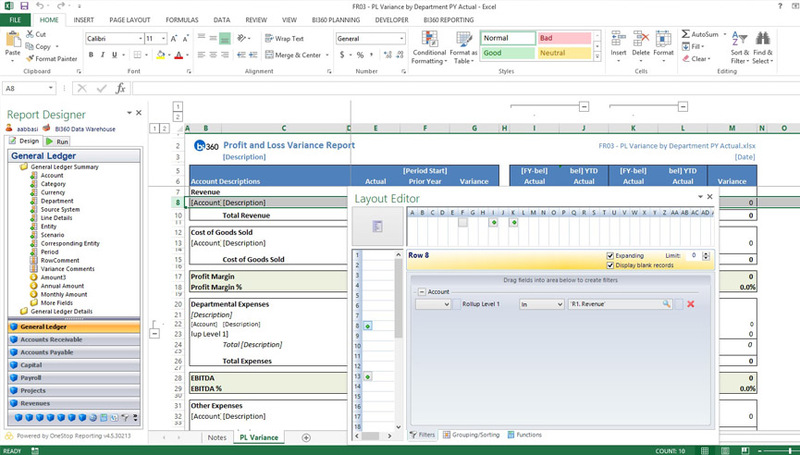 The result is professionally presented in Microsoft Excel, Web and on mobile devices, and users can refresh reports on-demand and drill down to detail, eliminating the need to export and reformat reports or the use of multiple report writers across your transaction systems. BI360's report writer offers groundbreaking collaborative functionality, allowing your managers to be alerted of major discrepancies, quickly access and analyze reports that reveal business issues or opportunities, and add questions or commentary directly with the reports to share new insights. 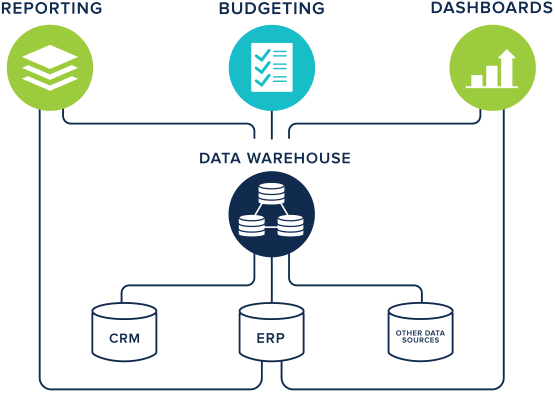 Collaborate with your domestic or global managers to maximize the value of your organization's data. Consolidate any number of companies, automatically or manually eliminate intercompnay transactions, and currency convert your data. You can also apply IFRS to GAAP adjustments and any other consolidation-related rules, including minority ownership handling and allocations. Financial statements, Operational Reports, etc.